1. Download Android 4.4.2 XXUFND3 Firmware for Galaxy Note 2 N7100 from the above list 2. 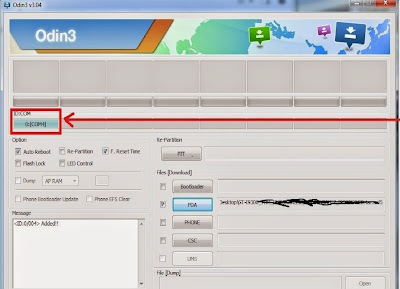 Download Odin 3.09 Switch off your phone and boot Galaxy Note 2 N7100 into Download 3. Mode by pressing and holding the Volume Down+Home+Power buttons (long press until the boot screen appear), now press Volume Up key to proceed to Download Mode. 6. In Odin3 screen, you should see a COM Port number like “0:[COM7]” at ID:COM section and “Added!” text at the message box. This means your device has been detected by Odin3. 7. Make sure that, only the “Auto Reboot” and “F. Reset Time” options are checked. 10. Now, click on the Start button to begin the installation process, wait few moments. Congrats! 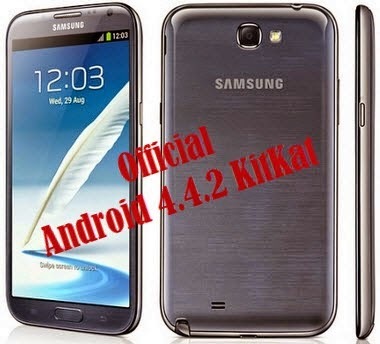 you have just finished the tutorial to update Android 4.4.2 KitKat official firmware on Galaxy Note 2 GT-N7100. Hope you successfully completed the update process.